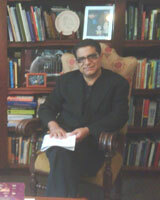 Deepak Chopra is a popular author and speaker on health and spiritual growth and self-transformation. He is an excellent interpreter of eastern concepts for western students and seekers. Watch videos, check up on his latest book release. Follow his touring events. see Deepak Chopra quotes. Website for the Chopra Center. Check out Chopra Radio, get phone apps, join the Community and watch more videos. Check out this interview with Oprah on Super Soul Sunday. Amazon Synopsis: Deepak Chopra, M.D., has researched, written, and lectured on a vast range of subjects--from Ayurvedic medicine to meditation, karma to creation, purpose to potential--all from the perspective of a physician, endocrinologist, and healer. He has been a pioneer in the field of mind body medicine and is the best-selling author of twenty books, including Ageless Body, Timeless Mind and The Seven Spiritual Laws of Success. In A Deepak Chopra Companion, Leon Nacson, a longtime friend and colleague of Dr. Chopra, presents an accessible survey of his works, from the most basic concepts of mind body medicine to the most rewarding paths of spiritual growth. Based on their dialogues over the years, A Deepak Chopra Companion answers the questions readers themselves would ask Dr. Chopra if they had the opportunity. For instance: What am I doing here? Who am I? Why is meditation so important? And what is the connection between intention and desire? The result is a book that covers all the fundamental points that lie at the heart of Dr. Chopra's views on healing and the exploration of human consciousness. Amazon Synopsis: We all want to know how to find a soul mate, what career would be most fulfilling, how to live a life with meaning, and how to teach our children well. We are looking for a personal breakthrough, a turning point, a revelation that brings with it new meaning. The Book of Secrets--a crystalline distillation of insights and wisdom accumulated over the lifetime of one of the great spiritual thinkers of our time--provides an exquisite new tool for achieving just that. Amazon Synopsis: In this remarkable book lies the secret to creating affluence. Here you will discover that you are the dancer and the dance, the creator and the creation, and unlimited wealth is yours merely for the asking. With clear and simple wisdom, Deepak Chopra explores the full meaning of wealth consciousness and presents a step-by-step plan for creating affluence and fulfillment on all levels of our lives. According to the author, affluence is our natural state, and the entire physical universe with all its abundance is the offspring of an unbounded, limitless field of all possibilities. Through a series of simple steps and everyday actions, Creating Affluence gently fosters the wealth consciousness needed to tap into this field and create anything you desire. Amazon Synopsis: Dr. Deepak Chopra offers his thousands of fans a newly revised edition of Creating Health, his groundbreaking book about the healing power of the mind. First published in 1987, Creating Health introduces the basic premises of Ayurveda, the six-thousand-year-old tradition of health care from India, and guides readers toward a sound understanding of the mind-body connection. Dr. Chopra is considered the preeminent spokesman for Ayurveda, which he blends with Western medical philosophy to create an intelligent and balanced approach to health. Dr. Chopra has revised Creating Health for the many people who are turning to alternative methods of health care as a result of the escalating crisis in traditional care. This edition incorporates a number of advances based on Dr. Chopra's recent work and new perspectives, including the techniques of mindfulness meditation, a simple but powerful form of breath-focused meditation. Amazon Description: This recording shows why Deepak Chopra is considered one of the great pioneers in the field of mind-body medicine. Here he offers compelling answers to the eternal questions of identity, origin, and meaning. Chopra’s thesis is that people rely on their senses to define their experience of reality — limiting their experience of the material world and making them prisoners, out of touch with realities that lie beyond the material. He explains that there is no difference between observer and observed; it is all one shared experience. Realizing this truth, says Chopra, frees people from their sensory-created prison to experience a more nurturing and fulfilling life. The author’s calm, uplifting voice gives these ideas heft and power, and his inclusion of relaxed guitar interludes let listeners pause to contemplate more deeply. Chopra expands the discussion by citing T. S. Eliot, Nietzsche, Rumi, Tagore, and Patanjali, as well as scientific experiments and spiritual texts. Amazon Synopsis: Everyday Immortality contains a series of insights, known in Eastern wisdom traditions as sutras or koans. Like a string of pearls, each insight follows the next, page by page. Only when the lesson of one page is fully absorbed does the reader go on to the next. Through this process, the reader's thought patterns are literally transformed, causing a permanent shift in perception. These exercises are a modern version of Gyana Yoga, India's ancient Yoga of Knowledge, long considered the most direct path to attaining enlightenment and immortality. Amazon Synopsis: Deepak Chopra has discovered the delights—and frustrations—of golf, and he is passionate about the game. Confronted by the wild ups and downs of his own play, he consulted with golf professionals and developed a new approach to the game that any golfer can follow—from the novice to the expert. The results can be measured not only in increased enjoyment and skill, but also in greater wisdom about life beyond the 18th hole. Chopra’s own game has improved dramatically since incorporating the elements of his program. Instead of focusing on the mechanics of a “perfect” swing, Chopra reveals how golf can be mastered through mindfulness, a form of awareness that combines sharp focus and relaxation at the same time. Expanded awareness, he tells us, can accomplish much more than external mechanics to improve one’s game. But Golf for Enlightenment is also an engrossing story about Adam, an Everyman who is playing a terrible round of golf when he meets a mysterious young teaching pro named Leela. In seven short but profound lessons detailing spiritual strategies, she teaches Adam the essence of a game that has much to explain about life itself. Chopra has spent the last year taking the unique message in Golf for Enlightenment nationwide, teaching the essential tenets of his program at lectures and seminars to golfers everywhere. His message continues to help players turn an obsession into a positive life path. Amazon Synopsis: In Grow Younger, Live Longer, Deepak Chopra, a pioneer in mind/body medicine, applies his decades of research and knowledge to actually reverse the aging process. This simple and practical step-by-step program designed by Dr. Chopra and his associate, David Simon, M.D., shows how it is essential to renew all dimensions of the self—the body, mind, and spirit—in order to feel and look younger. The ten-step program detailed in this book will immediately improve your sense of well-being, and the three Daily Actions accompanying each step will help you thoroughly integrate the age reversal process into your life. Learn how to maintain a youthful mind, cultivate flexibility, strengthen your immune system, nourish your body, and much more. As you begin to reverse your biological age, you will find yourself tapping into your inner reservoirs of unlimited energy, creativity, and vitality. Amazon Synopsis: One of the world's best-selling authors and the pioneering teacher of the benefits of mind body medicine focuses on America's number one health problem: coronary artery disease. Millions of Americans suffer from coronary artery disease or have a loved one who does. Despite advances in conventional treatment, it remains the leading cause of death among American adults. Fast-paced life-styles, high stress levels, poor diets, and addictions to unhealthy activities such as smoking and excessive drinking contribute to the prevalence of this disease. In Healing the Heart, Deepak Chopra, M.D., shows readers how to reduce their risk factors for coronary artery disease by following an individually tailored regimen, based on the principles of Ayurveda, a 5,000-year-old medical system. Specific suggestions enliven health through diet, exercise, meditation, and self-awareness. This safe and effective program promotes a healthy heart by opening the energizing and healing pathways that unite mind, body, and spirit. Amazon Synopsis: Deepak Chopra has touched millions of readers by demystifying our deepest spiritual concerns while retaining their poetry and wonder. Now he turns to the most profound mystery: What happens after we die? Is this one question we were not meant to answer, a riddle whose solution the universe keeps to itself? Chopra tells us there is abundant evidence that “the world beyond” is not separated from this world by an impassable wall; in fact, a single reality embraces all worlds, all times and places. At the end of our lives we “cross over” into a new phase of the same soul journey we are on right this minute. In Life After Death, Chopra draws on cutting-edge scientific discoveries and the great wisdom traditions to provide a map of the afterlife. It’s a fascinating journey into many levels of consciousness. But far more important is his urgent message: Who you meet in the afterlife and what you experience there reflect your present beliefs, expectations, and level of awareness. In the here and now you can shape what happens after you die. By bringing the afterlife into the present moment, Life After Death opens up an immense new area of creativity. Ultimately there is no division between life and death—there is only one continuous creative project. Chopra invites us to become cocreators in this subtle realm, and as we come to understand the one reality, we shed our irrational fears and step into a numinous sense of wonder and personal power. Amazon Synopsis: A much-needed antidote to our modern, assembly-line approach to childbirth, this new book is designed as a guide for all who wish to participate in the wondrous process of bringing new life into the world. Its ideas derive from two sources: the ancient wisdom of Ayurveda, with its emphasis on body, mind, and spirit, and the latest Western scientific prenatal research. By integrating the best information from these two very different perspectives, this remarkable book gives readers the tools to ensure that our children are nourished by thoughts, words, and actions from the very moment of conception. Magical Beginnings, Enchanted Lives is rich in practical information, including strategies to help enliven the body intelligence of unborn babies by nourishing each of their five senses, as well as through Ayurvedically balanced nutrition and eating with awareness. Specific yoga poses and meditation techniques reduce the mother’s stress and improve the infant’s emotional environment, as do tips for conscious communication with a partner. Exercises prepare parents for the experience of childbirth itself, followed by natural approaches to dealing with the first weeks of parenting, from healing herbs to enhancing your milk supply to coping with postpartum depression. Inspiring, expansive, and remarkably informative, this unique book from acclaimed experts in mind-body medicine will profoundly enhance the experience of pregnancy and birth for both parents and baby. Amazon Synopsis: Your own body's inner wisdom holds the secret of perfect health, teaches Deepak Chopra, M.D. "On the molecular and cellular levels, the body that you had four years ago no longer exists," teaches Dr. Deepak Chopra. "It has been entirely replaced, atom by atom." Given this fact, could it be that the core of who you are -- and your health -- lies beyond the material body? THE NEW PHYSICS OF HEALING invites you to consider an astonishing possibility, now being demonstrated in the fields of physics and modern medicine: that we are composed of a rapidly changing field of pure information that sustains and influences our physical health. Is it possible to access this "river of intelligent energy," first described in India's ayurvedic medical tradition more than 5,000 years ago? How do specific emotions influence your biochemistry and your health? Can your imagination affect the course of an illness? How do you break through the ingrained belief patterns to discover your true healing potential? On this updated edition of THE NEW PHYSICS OF HEALING, Dr. Chopra offers a fascinating exploration of these and many other questions. This CD includes an all-new interview with this visionary pioneer of mind-body medicine available nowhere else. Amazon Synopsis: Join Deepak Chopra on a wondrous journey. . . "The Path to Love." Philosophical, inspiring, and ultimately very practical, The Path to Love is a book that can change lives as it invites the spirit to work its wonders on the most complex and richly rewarding terrain of all: the human heart. Amazon Synopsis: Of the millions of Americans whose digestive disorders fail to respond to conventional medical treatments, Dr. Chopra offers an alternative approach based upon the principles of Ayurvedic medicine. Among the topics covered are the relationship between emotions and intestinal functions, biological rhythms and neuromuscular integration, and the importance of diet. Amazon Synopsis: Perfect Weight focuses on Ayurveda, the ancient Indian science of life, to help readers conquer their weight problems. This book is Deepak Chopra’s take on the questions we all ask ourselves, as well as the ones we would ask if we thought of them. When we do ask the questions and get our own answers we have a chance to live from the source of lasting happiness. Amazon Synopsis: Here is an extraordinary new approach to healing by an extraordinary physician-writer -- a book filled with the mystery, wonder, and hope of people who have experienced seemingly miraculous recoveries from cancer and other serious illnesses. Dr. Deepak Chopra, a respected New England endocrinologist, began his search for answers when he saw patients in his own practice who completely recovered after being given only a few months to live. In the mid-1980's he returned to his native India to explore Aruyveda, humanities most ancient healing tradition. Now he has brought together the current research of Wetern medicine, neuoscience, and physics with the insights of Ayurvedic theory to show that the human body is controlled by a "network of intelligence" grounded in quantum reality. Not a superficial psychological state, this intelligence lies deep enough to change the basic pattenrs that design our physiology -- with the potential to defeat cancer, heart disease, and even aging itself. in this inspiring and pioneering work, Dr. Chopra offers us both a fascinating intellectual journey and a deeply moving chronicle of hope and healing. Amazon Synopsis: A new addition to the popular Perfect Health Library series--now available in paperback. Ayurveda, the ancient Indian science of life, is ideally suited to help with the problem of insomnia, in which the mind is known to play a considerable role. In this volume, Dr. Chopra shows readers how to fall asleep easily, feel rested upon arising, identify and eliminate the imbalances causing insomnia, and more. Amazon Synopsis: Deepak Chopra presents ten lessons to help build awareness and change the distorted energy patterns that are the root cause of aging, infirmity, and disease. Fifteen years after his #1 New York Times bestseller, Ageless Body, Timeless Mind, Deepak Chopra revisits "the forgotten miracle"–the body's infinite capacity for change and renewal. You cannot take advantage of this miracle, Chopra says, unless you are willing to completely reinvent your body, transforming it from a material object to a dynamic, flowing process. "Your physical body is a fiction," Chopra contends. Every cell is made up of two invisible ingredients: awareness and energy. Transformation can't stop with the body, however; it must involve the soul. The soul–seemingly invisible, aloof, and apart from the material world–actually creates the body. Only by going to the level of the soul will you access your full potential, bringing more intelligence, creativity, and awareness into every aspect of your life. Reinventing the Body, Resurrecting the Soul delivers ten breakthroughs–five for the body, five for the soul–that lead to self-transformation. In clear, accessible terms, Chopra shows us how to commit ourselves to deeper awareness, focus on relationships instead of consumption, embrace every day as a new world, and transcend the obstacles that afflict body and mind. Deepak Chopra has inspired millions with his profound teachings over the years. His bestselling books have explored the mind/body connection and the power of spirit. With his latest book, he invites you to experience with him the miracles that unfold when we connect the body directly to the awesome mysteries that give life meaning–directly to the soul. When you have completed this journey, after reinventing your body and resurrecting your soul, the ecstasy of true wholeness becomes possible for the very first time. Amazon Synopsis: The creation of wealth has always been regarded as a process that requires hard work and luck--often at the expense of others. In this remarkable book, the author of Quantum Healing and other bestsellers reveals how to align with the subtle yet powerful, unseen forces that affect the flow of money in our lives. Deepak has taken his seven spiritual laws and applied them for the part of the population that is in love with superheroes from comics and the silver screen. He also includes religious comics. This is a new way of relating to, and bringing out the Higher Self in all of us. I was amazed how it touched my own memories of childhood heroes. Contents: Introduction, The Law of Balance, The Law of Transformation, The Law of Power, The Law of Love, The Law of Creativity, The Law of Intention, The Law of Transcendence, Activating the Superhero Brain, Superhero Reading List. Amazon Synopsis: The remarkable benefits of yoga, which include improved flexibility, balance, muscle tone, endurance, and vitality, only hint at the extraordinary power of this deeply spiritual practice. When adhered to and practiced mindfully, yoga can unlock readers’ full creative potential, their capacity for love and compassion, and ability to find success in all areas of their lives. The Seven Spiritual Laws of Yoga brings spirituality back to yoga. It shows how the Seven Spiritual Laws play a crucial role in yoga’s path to enlightenment while providing readers with a wealth of meditation techniques, mantras, breathing exercises, and yoga poses. Whether a newcomer to yoga or an experienced practitioner, The Seven Spiritual Laws of Yoga is a portal to yoga’s deeper spiritual dimension and a beautiful step to a happier, more harmonious, and more abundant life. Amazon Synopsis: Deepak Chopra, Debbie Ford, and Marianne —New York Times bestselling authors and internationally acclaimed teachers—have joined together to share their knowledge on one of the most crucial obstacles to happiness we face—the shadow. These three luminaries, each with a signature approach, bring to light the parts of ourselves we deny but that still direct our life. For it is only when we embrace our shadow that we discover the gifts of our authentic nature. The shadow exists within all of us. It is a part of us and yet we spend most of our life running from it. But far from being scary, our dark side holds the promise of a better, more fulfilling life. Our shadow makes itself known every day. It is the reason we get furious over a friend showing up ten minutes late, yell at our parents or kids when they have done nothing wrong, and sabotage our own success at the worst possible time. Until we are able to embrace our dualistic nature, we will continue to hurt ourselves and those closest to us and fall short of our potential. Combining the wisdom of three experts, The Shadow Effect is a practical and profound guide to discovering the gifts of our shadow. These three authors powerfully pierce the veil of our unclaimed self, releasing us from the past and propelling us on a journey to wholeness. No longer living a half life, we are capable of achieving our dreams and reclaiming the happiness that is our birthright. Amazon Synopsis: Leadership is the most crucial choice one can make—it is the decision to step out of darkness into the light. After identifying your own soul profile and the core values you want to develop, you can use these seven skills to allow your potential for greatness to emerge. Only from the level of the soul, Chopra contends, are great leaders created. Once that connection is made, you have unlimited access to the most vital qualities a leader can possess: creativity, intelligence, organizing power, and love. Amazon Description: New York Times bestselling authors Marianne Williamson and Deepak Chopra team up in this live recording of The Spirit of Success seminar! In this powerful and unique program recorded live in front of a sold-out audience, Marianne Williamson and Dr. Deepak Chopra will take you through an in-depth understanding of consciousness as a field of infinite possibilities, infinite creativity, infinite energy and infinite abundance. Marianne will first teach you how to tap into the Law of Divine Compensation – the power of love to compensate for any limitations in the material world. Through devotion, prayer, meditation, forgiveness and compassion for self and others, you will activate your miraculous power to turn limited probabilities into unlimited possibilities. Then, using a combination of techniques involving silent brain-storming, mind-mapping, and finding creative opportunities in perceived problems, Deepak will take you through an updated experience of the spiritual laws that create success in all its forms. Amazon Synopsis: Over the course of his career as physician, teacher, and bestselling author, Deepak Chopra has received thousands of questions from people facing every kind of challenge. They have asked how to lead more fulfilling lives, how to overcome relationship problems and personal obstacles. What’s the best way to deal with a passive-aggressive friend? Can a stagnant career be jump-started? In a world full of distractions and stress, how does one find time for meditation? Hidden among all of these questions are answers waiting to be uncovered. In this groundbreaking book, Chopra shows you how to expand your awareness, which is the key to the confusion and conflict we all face. “The secret is that the level of the problem is never the level of the solution,” he writes. By rising to the level of the solution in your own awareness, you can transform obstacles into opportunities. Chopra leads the reader to what he calls “the true self,” where peace, clarity, and wisdom serve as guides in times of crisis. For Chopra, spirituality is primarily about consciousness, not about religious dogma or relying on the conventional notion of God. “There is no greater power for success and personal growth than your own awareness.” With practical insight, Spiritual Solutions provides the tools and strategies to enable you to meet life’s challenges from within and to experience a sense of genuine fulfillment and purpose. Amazon Synopsis: As elegant as his bestselling How to Know God and as practical as his phenomenal The Seven Spiritual Laws of Success, this groundbreaking new book from Deepak Chopra contains a dramatic premise: Not only are everyday coincidences meaningful, they actually provide us with glimpses of the field of infinite possibilities that lies at the heart of all things. By gaining access to this wellspring of creation, we can literally rewrite our destinies in any way we wish. Amazon Synopsis: Who is Jesus? In The Third Jesus, Deepak Chopra provides an answer that is both uplifting and challenging to current beliefs. There is not one Jesus, Chopra writes, but three. The first is the historical Jesus, the man of flesh and blood who lived more than two thousand years ago. The second Jesus is a person who never lived but is a figure created by the Church to represent thousands of years of theology and Church teaching. Behind these two images stands a third Jesus, the radical, mystical teacher who taught his followers how to change the world. In The Third Jesus, Chopra explores Jesus’ original message, revealing a spiritual guide of profound depth and inspiration that speaks to anyone who believes in the importance of peace and love. By turning fresh eyes on the New Testament and returning to the essentials of Jesus’ message, Chopra shows how the third Jesus can truly transform our lives—and humanity. Amazon Synopsis: Two bestselling authors first met in a televised Caltech debate on “the future of God,” one an articulate advocate for spirituality, the other a prominent physicist. This remarkable book is the product of that serendipitous encounter and the contentious—but respectful—clash of worldviews that grew along with their friendship. Amazon Synopsis: The author of the acclaimed New York Times bestsellers The Seven Spiritual Laws of Success and Ageless Body, Timeless Mind now presents a guide to using spiritual alchemy for awakening the magic in everyday life. Chopra ties his explanation into Merlin the wizard from King Arthur. Amazon Synopsis: Buddha is synonymous with the term 'enlightenment'. Although we see him as a calm, benevolent figure, the actual life story of Buddha was tumultuous and dramatic. No other human being has lived such a life. What better way to grip the reader than to tell Buddha's story from the inside? Chopra carries the reader from Buddha's birth to the time of enlightenment - how he experienced such depths of despair and heights of ecstasy, renounced love in favour of spiritual perfection, and contained in one body enough wisdom to change the world. Amazon Synopsis: The "New York Times" bestselling author of "Buddha" captures the extraordinary life of Jesus in this surprising, soul-stirring, and page-turning novel. Uncovering the transformational "lost years" that are not recounted in the New Testament, Deepak Chopra has imagined Jesus's path to enlightenment moving from obscurity to revolutionary, from doubt to miracles, and then beyond as the role of the long-awaited Messiah. As a teenager, Jesus has premonitions of his destiny, and by the end, as he arrives to be baptized in the River Jordan, he has accepted his fate, which combines extremes of light and darkness. With his characteristic ability for imparting profound spiritual insights through the power of storytelling, Deepak Chopra's "Jesus" portrays the life of Christ as never before, ultimately leading us closer to understanding the nature of God and the soul. As the author shares, "I don't want the Jesus in this book to be worshiped, much less to push him forward as definitive. The events of the tale are pure fiction. But at a deeper level, the Jesus in this book feels real because we've gotten a glimpse into his mind. 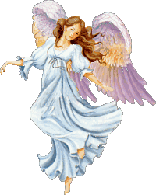 One flash of insight answers many prayers." Amazon Synopsis: In this riveting novel, beloved international bestselling author Deepak Chopra captures the spellbinding life story of the great and often misunderstood Prophet. Islam was born in a cradle of tribal turmoil, and the arrival of one God who vanquished hundreds of ancient Arabian gods changed the world forever. God reached down into the life of Muhammad, a settled husband and father, and spoke through him. Muhammad's divine and dangerous task was to convince his people to renounce their ancestral idols and superstitious veneration of multiple gods. From the first encounter, God did not leave Muhammad alone, his life was no longer his own, and with each revelation the creation of a new way of life formed and a religion was born. Muhammad didn't see himself as the son of God or as one who achieved cosmic enlightenment. His relatives and neighbors didn't part the way when he walked down the parched dirt streets of Mecca. There was no mark of divinity. Orphaned by age six, Muhammad grew up surrounded by dozens of cousins and extended family to become a trusted merchant. Muhammad saw himself as an ordinary man and that is why what happened to him is so extraordinary. Rooted in historical detail, Muhammad brings the Prophet to life through the eyes of those around him. A Christian hermit mystic foretells a special destiny, a pugnacious Bedouin wet nurse raises him in the desert, and a religious rebel in Mecca secretly takes the young orphan under his spiritual wing. Each voice, each chapter brings Muhammad and the creation of Islam into a new light. The angel Gabriel demands Muhammad to recite, the first convert risks his life to protect his newfound faith, and Muhammad's life is not a myth but an incredible true and surprisingly unknown story of a man and a moment that sparked a worldwide transformation. Amazon Synopsis: The author of the million-copy best-seller Ageless Body, Timeless Mind emerges as a powerful new force in fiction with a luminously written novel about the final act of the Arthurian legend playing out in modern England. The Return of Merlin is a brilliantly realized narrative that begins in Arthurian times and jumps boldly to our own 20th-century dark age of war, pollution, predation, and hatred--with a message of hope. Amazon Synopsis: Deepak Chopra, the internationally renowned “poet-prophet of alternative medicine” (Time) has turned his talents and vision to fiction with such novels as The Return of Merlin—praised by Booklist for its “magical quality.” Here he offers an absorbing, mystical tale of a love that triumphs over death itself…. A gifted young doctor soon to be married, Raj Rabban thinks he knows all about love and death. Then a chance encounter turns everything he knows upside down…. Maya is the woman of his parents’ choosing, a compatible mate, a practical match. But Molly—the stunning beauty he meets on the subway—ignites Raj’s spirit in a way he cannot explain. Driven by a force they do not fully understand, the two quickly come to share a paradise reserved only for true soulmates. But when tragedy intrudes upon their idyll, Raj must undertake a courageous journey and confront the deepest truths within his heart—and beyond what can be seen…. Amazon Synopsis: In this refreshing new take on spirituality, bestselling author Deepak Chopra uses a fictional tale of a comedian and his unlikely mentor to show us a path back to hope, joy, and even enlightenment—with a lot of laughter along the way. Meet Mickey Fellows. A successful L.A. comedian, he’s just a regular guy, with his fair share of fears, egocentricities, and addictions. After his father’s death, Mickey meets a mysterious stranger named Francisco, who changes his life forever. The two begin an ongoing discussion about the true nature of being. Reluctantly at first, Mickey accepts the stranger’s help and starts to explore his own life in an effort to answer the riddles Francisco poses. Mickey starts to look at those aspects of himself that he has hidden behind a wall of wisecracks all his life. Eventually Mickey realizes that authentic humor opens him up to the power of spirit—allowing him to finally make real connections with people. After taking the reader on a journey with Mickey, Chopra then spells out the lessons that Mickey’s story imparts to us: ten reasons to be optimistic, even in our challenging world. Chopra believes that the healthiest response to life is laughter from the heart, and even in the face of global turmoil, we can cultivate an internal sense of optimism. Rich with humor and practical advice, Why Is God Laughing? shows us without a doubt that there is always a reason to be grateful, that every possibility holds the promise of abundance, and that obstacles are simply opportunities in disguise. In the end, we really don’t need a reason to be happy. The power of happiness lies within each of us, just waiting to be unleashed. And Mickey Fellows’s journey shows us the way.